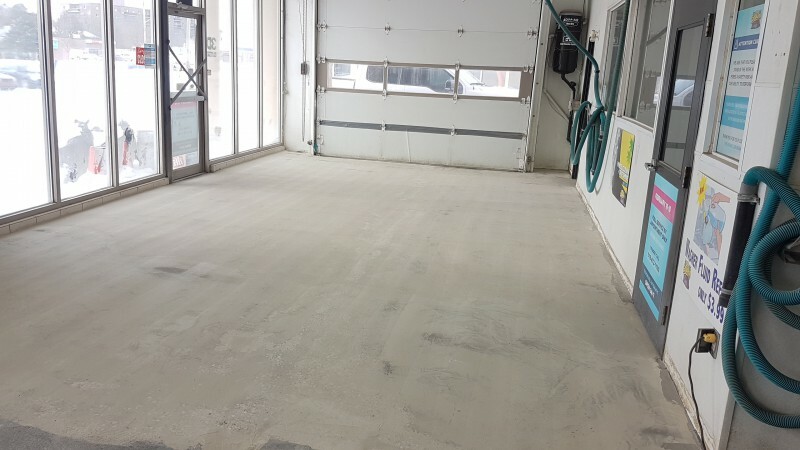 Before pictures of car wash bay. 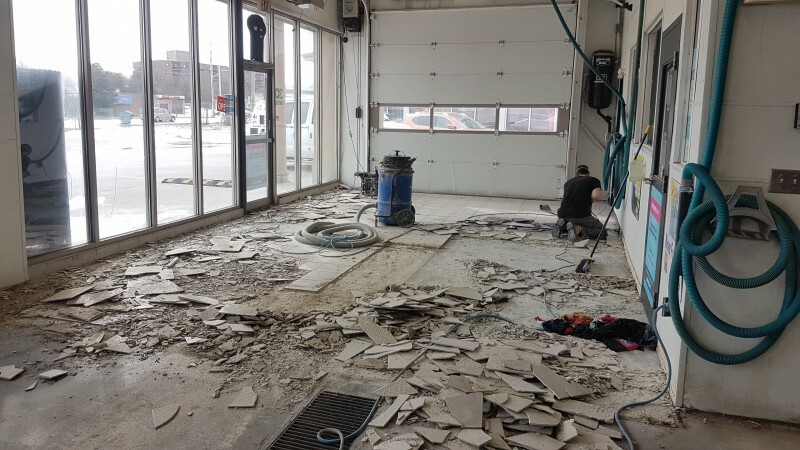 Removal of tile for a complete seamless floor when completed. 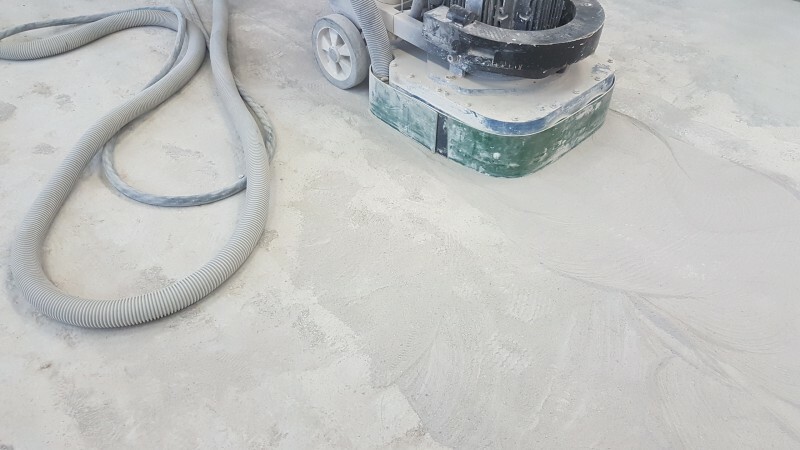 Grinding of high spots and tile mortar removal. 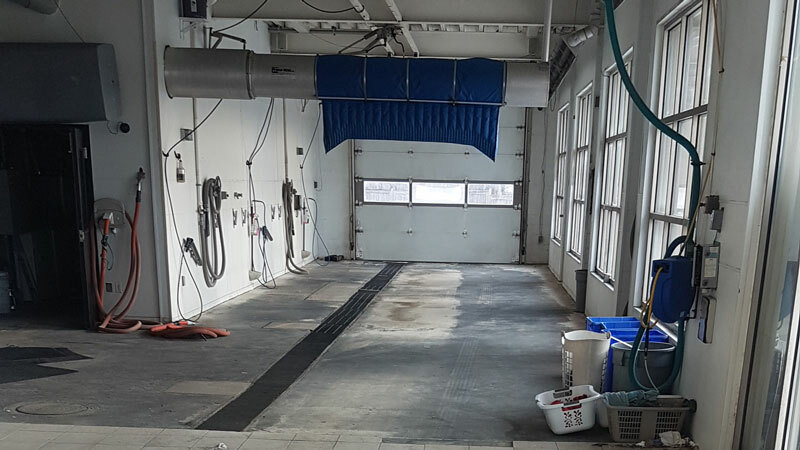 We were contracted to slope floor prior to epoxy application for proper water run off to drain. 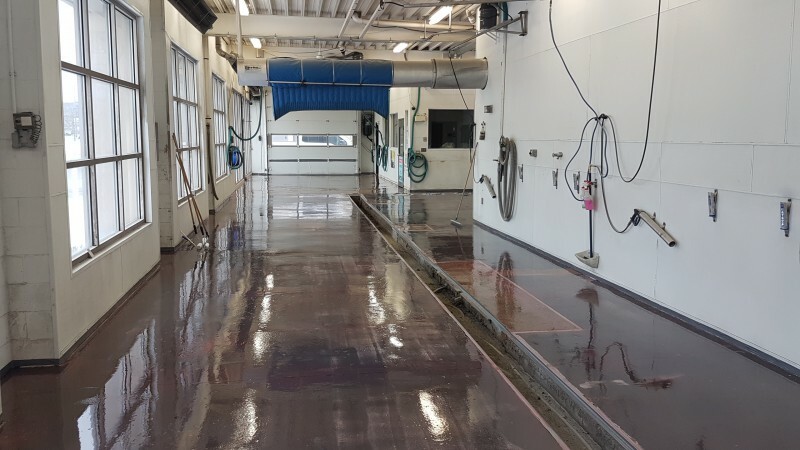 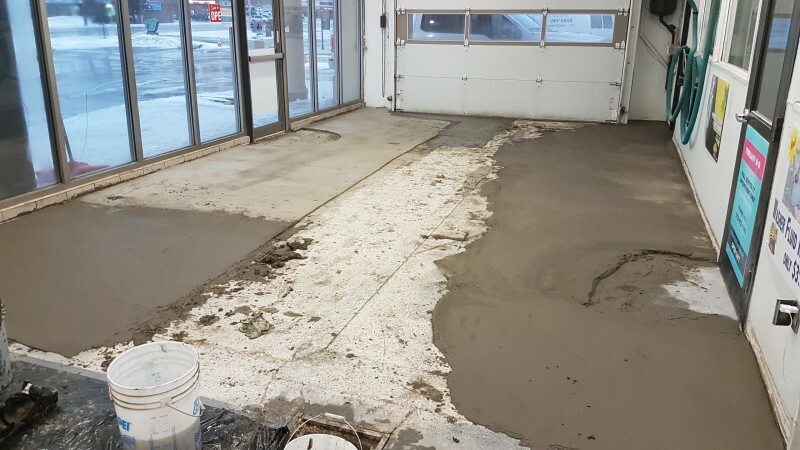 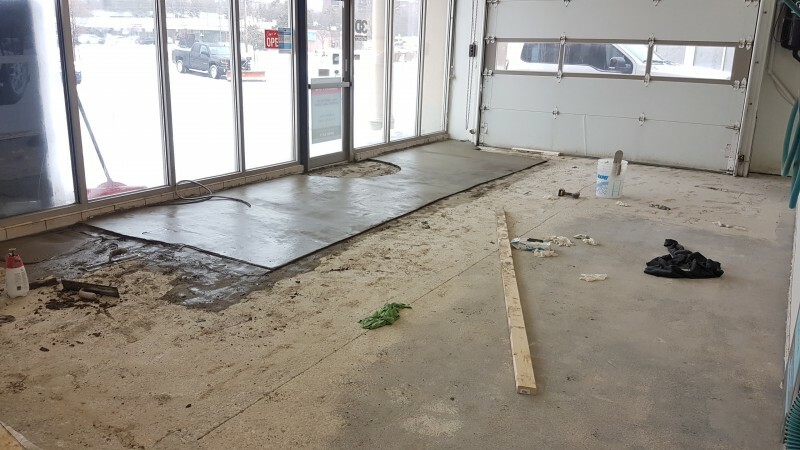 We ground any imperfections left from the sloping process and then skimmed the floor one last time to fill any voids and smooth for epoxy application. 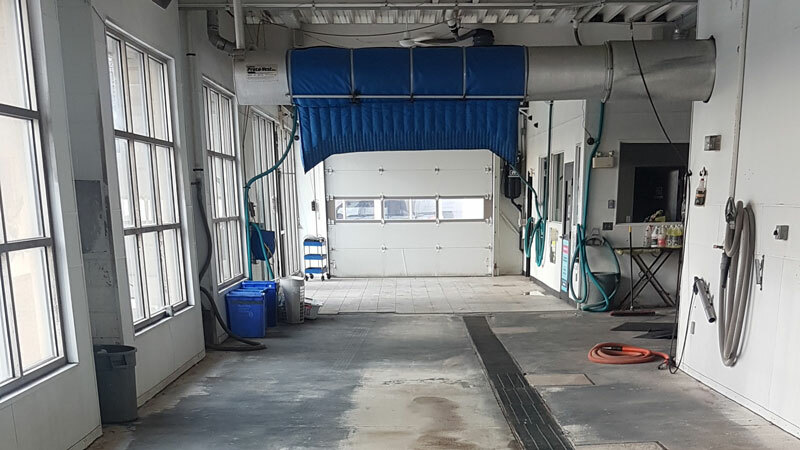 Installed a moisture remediation system to minimize shut down time of the wash bay area which cares for any moisture concern in the slab. 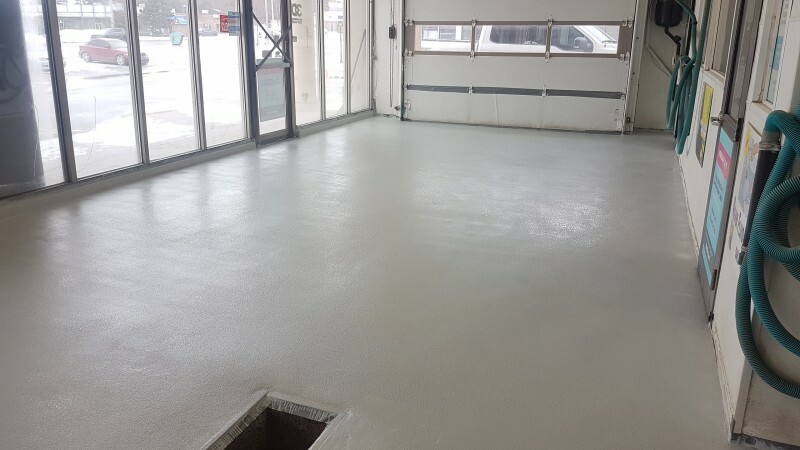 Two more coats of 100% solids gray epoxy with sand broadcast for added traction. 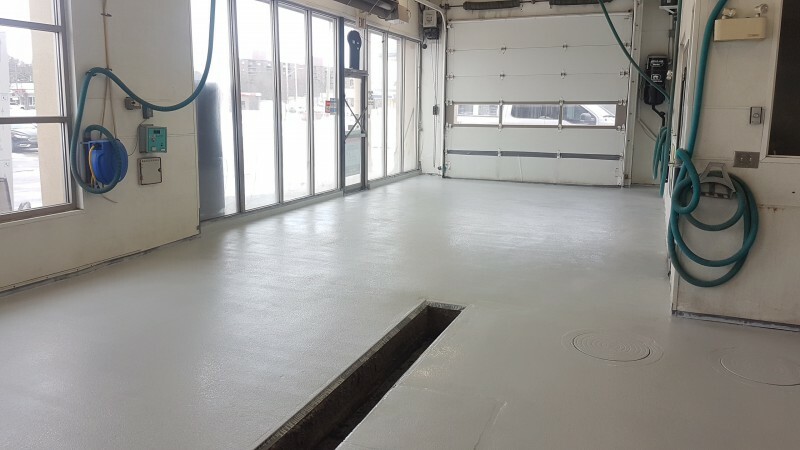 Job is complete.